Home » Michael Wolsey Guest Hosts on Words of Freedom, Again! Michael Wolsey Guest Hosts on Words of Freedom, Again! In this special broadcast of Visibility 9-11, Michael once again guest hosts for Words of Freedom with George Flynn. Words of Freedom is aired on KRFC, 88.9 FM in Fort Collins, Colorado on Monday nights at 5:30 – 6:00 pm mountain time (no commercials). This opportunity provides a valuable window to introduce 9-11 truth to an audience who rarely hear our message. Many thanks to George for the honor of sitting in for him while he is away on business. This episode of Words of Freedom features an interview with Janice Matthews, Executive Director for 911truth.org. Janice works as hard or harder than anyone in the movement and may be one of the most knowledgeable 9-11 activists in the world. 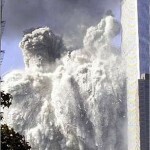 Here, Janice discusses 911truth.org, its mission, and the current state of the 9-11 movement. Be sure and check out the other programs where I have produced for the Words of Freedom broadcast in the Words of Freedom Special Report at my website. Special thanks to George Flynn for giving me the repeated great opportunities to speak to a wide, mainstream audience on his program Words of Freedom. If you get a chance, please go over to George’s website and thank him for his unending support for 9-11 truth! While you are at it, thank the wonderful folks at KRFC FM (970.221.5075) for giving us the platform and the great support for me and for the cause of 9-11 truth!